Pre-Construction. To be built. Pre-Construction. To be Built. Beautiful Key West Style, FEMA compliant, three story energy efficient waterfront home. This new home has a large open floor plan with 9'4" ceilings on all floors, 3 stop elevator along with designer touches make this home highhly practicial and functional. The gourmet kitchen has a large island with granite countertops and a walk in pantry. Four bedrooms and four full bathrooms allow plenty of space for a large family, guest or entertaining. Two bedrooms on the third floor have a large en-suite bathrooms with walkin closets and large decks overlooking the Intercoastal. Large first floor space allows 4 car garage and bonus storagewith elevator entry for easy transfer of groceries. Custom built pool and patio area create a relaxing waterfront spot to unwind. 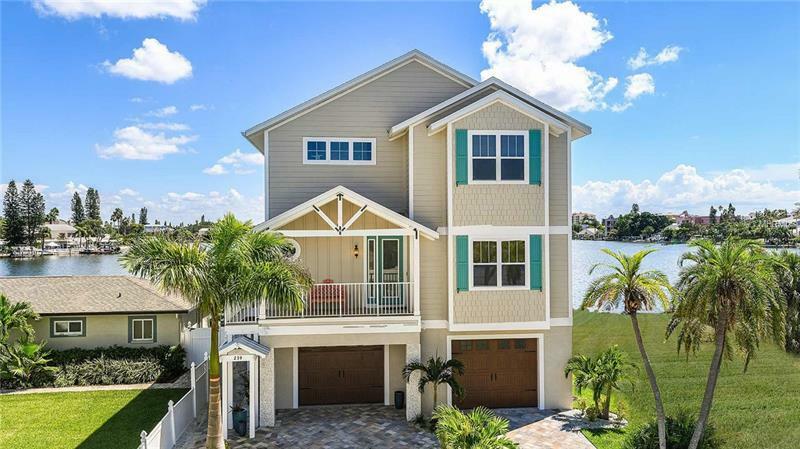 Come see this home already built at 239 144th Ave., Madeira Beach. Builder Name: GHD Construction Services Inc.